Kumquats sind getrocknet besonders lecker, denn Kumquats are particularly tasty when dried because then they can unfold their fruity-tart taste perfectly. Lightly sugared they are nice in muesli or as a snack between meals. Kumquats, also called mini oranges, are close relatives to the citrus fruits. Originally from Asia, they can nowadays also be found in America and Africa. 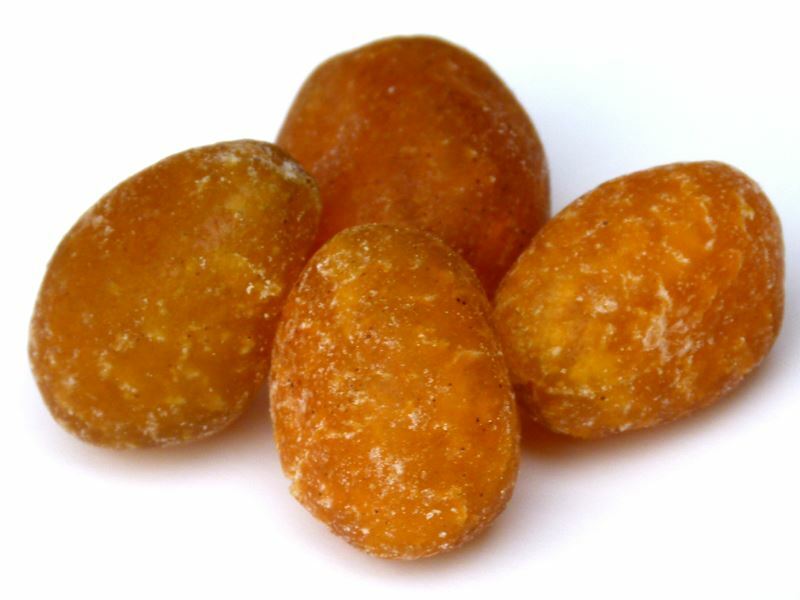 Kumquats are plum-shaped, up to 5 cm long and have a yellow-orange skin with many pores, similar to lemons. Skin and seeds of the Kumquat are eaten together with the pulp, whereby the skin has a tart-sweet, the pulp a bitter-sweet taste. The essential oils in the skin give the Kumquats their delicious scent. They contain much potassium and are especially rich in vitamin C. Apart from using them as ornaments, Kumquats can be eaten raw, pickled, or in jams.